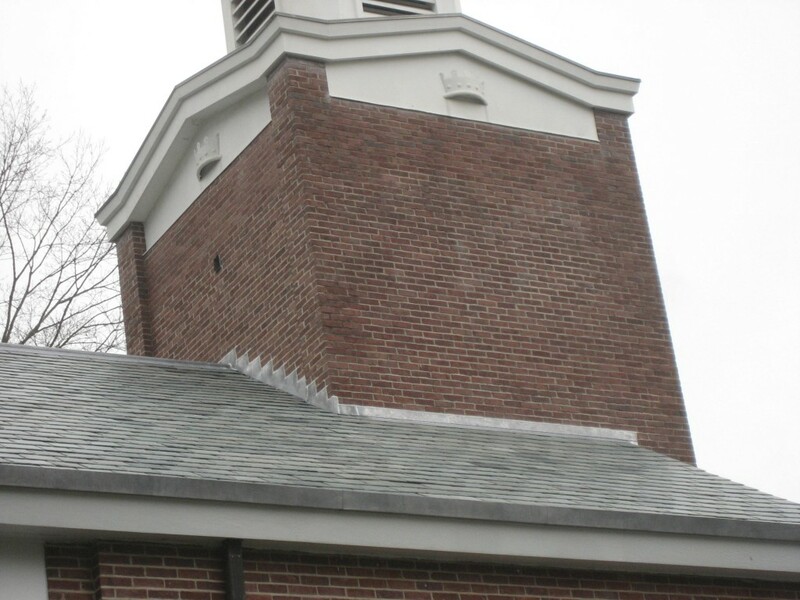 The First Congregational Church existing built-in gutter was extensively rotted and required rebuilding and re-lining (w/ EPDM). 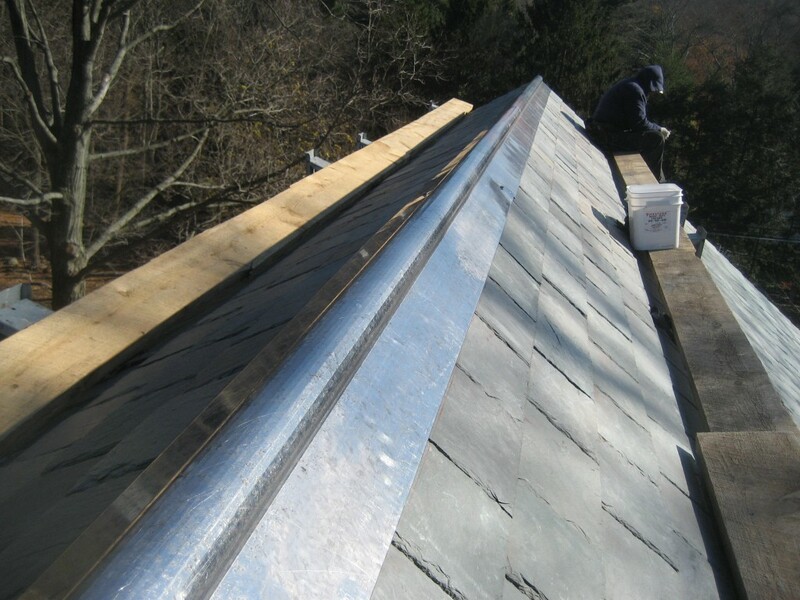 We provided lcc cap-flashing to allow for future replacement of gutter lining without need for removal of slates. Insulation was replaced on top of exposed T&G sheathing to enhance energy efficiency, and installed plywood to provide nailing surface for new slates. 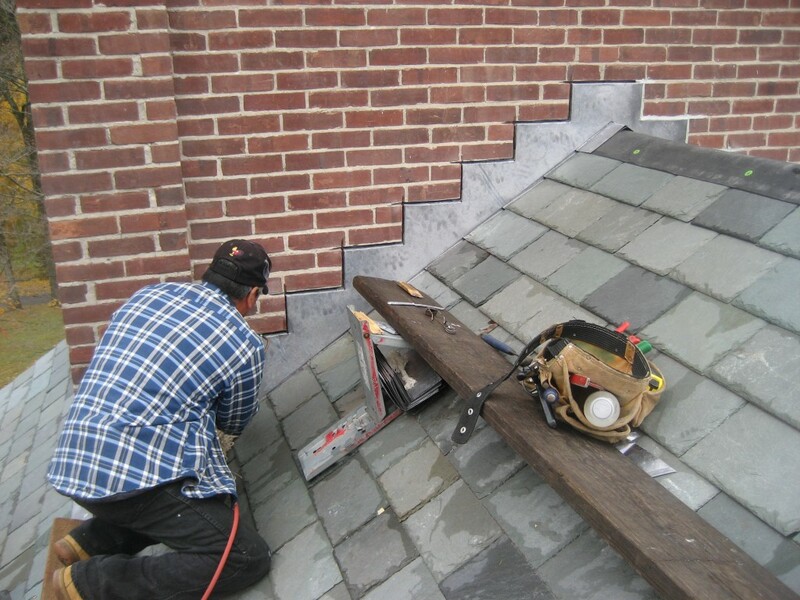 Chose lcc ridge-roll to make maintenance easier.